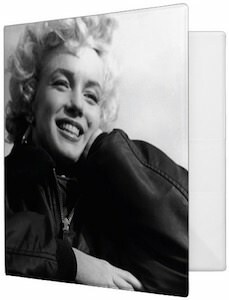 Now you can get a Smiling Marilyn Monroe Binder that can hold all your papers. This binder is made by Avery and the binder has 3 rings and comes in different sizes and you can pick the inside color too. But it is all about the outside as there you can see a nice black and white photo of Marilyn with curly hair and a big smile on her face. Now you can take Marilyn Monroe to the office or school and it can keep your work neatly organized and then there is home as there this binder is great too as it can hold so many loose papers you have lying around. 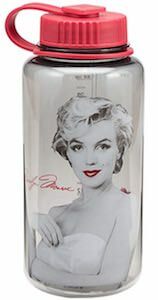 Now there is an amazing Marilyn Monroe Water Bottle. The water bottle is just great at holding water and is made from BPA free Tritan plastic and is see through with a red wide lid for easy drinking and filling. On the water bottle you can find a nice photo of Marilyn Monroe in her younger years and on the other side of the bottle you can find a kiss from her and her autograph is on the bottle too. This water bottle can hold up to 32 ounce of water making it great for school, work, the gym, or a hike. 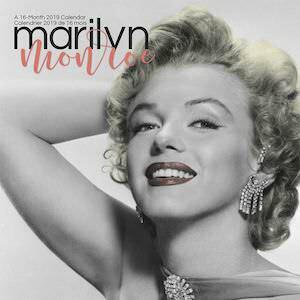 Now there is a great looking 2019 Marilyn Monroe Wall Calendar that will look amazing on your wall. The 2019 calendar is full of nice image of Marilyn and all are in black in white and that make this calendar look great almost anywhere as the black and white photos will blend in nicely. Every month of 2019 you will get a nice new photo and even for the rest of 2018 this is the calendar for you. Beside the nice photographs of Marilyn Monroe there is an amazing calendar grid too that offers lots of space for you notes and already has major holidays filled in. Now there is a fun Marilyn Monroe Christmas t-shirt. 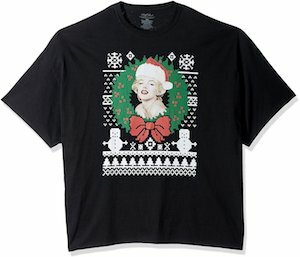 The black t-shirt shows a festive background with snowman and trees and on top of all that a green Christmas wreath with inside it Marilyn Monroe and she is wearing a red Santa hat. 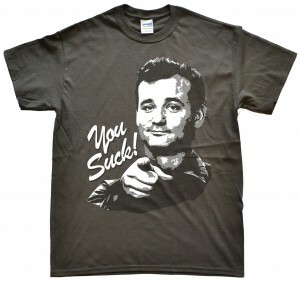 Sure this can be your ugly Christmas t-shirt and people will notice it. You can get this Marilyn Monroe t-shirt in many men’s sizes and it is made from 100% cotton and is preshrunk too. 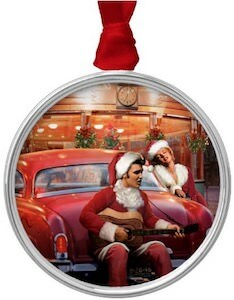 So get ready for the holiday in style all thanks to Marilyn. If you like to cuddle with Marilyn Monroe then you just need this super soft Marilyn Monroe mugshot blanket. 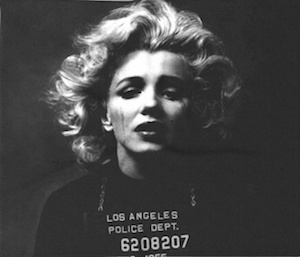 The blanket shows a picture of Marilyn not at her best as it is a mugshot from the Los Angeles Police Department. The black and white image makes this a really unique and special piece that your home deserves. You can get this Marilyn Monroe throw blanket in different sizes from 51 x 60 inches as the smallest all the way up to an 88 x 104 inches. And the blanket is made from 100% polyester and sherpa fleece making it a supersoft blanket that is great for cuddling and staying warm while watching TV. 2018 can be the year you have really nice wall calendar because this is the Marilyn Monroe wall calendar. The 2018 Marilyn Monroe calendar will add some classic beauty to your wall and you can enjoy amazing images all over 2018. The wall calendar shows amazing looking photos many are black and white with some color details which really add some nice details to the photo. On the calendar grid, you will find plenty of space for important things you want to add but it already has all the major holidays on there so that you never have to figure out when you have a day off. Now there is a Marilyn Monroe t-shirt that both men and women can enjoy. 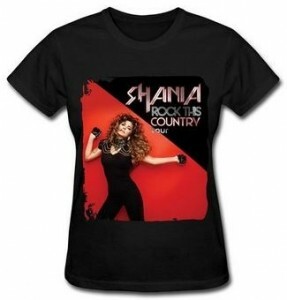 This t-shirt is available in styles for both men and women and comes in many colors and sizes too. On the t-shirt, you can see a portrait of Marilyn Monroe and she looks amazing and there is some color to it and some paint splatters here and there and all adds to the pop art look of the t-shirt. A t-shirt with a classic star like Marilyn is what you deserve and I am sure that people will be complimenting you for the amazing shirt. 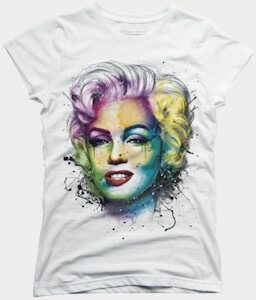 This Marilyn Monroe t-shirt has a fun design and color and is something unique. 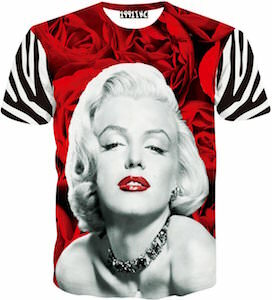 The t-shirt has a background of red roses and the short sleeves of the t-shirt have a black and white zebra print and to top that all off there is a black and white picture of Marilyn Monroe while wearing red lipstick. 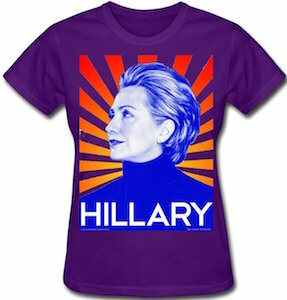 All in all a real cool looking t-shirt that may stand out a bit because of the amazing design. 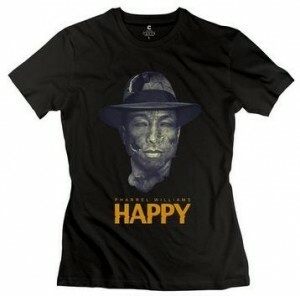 You can get this t-shirt in a wide range of sizes and this t-shirt will look stunning on both men and women.